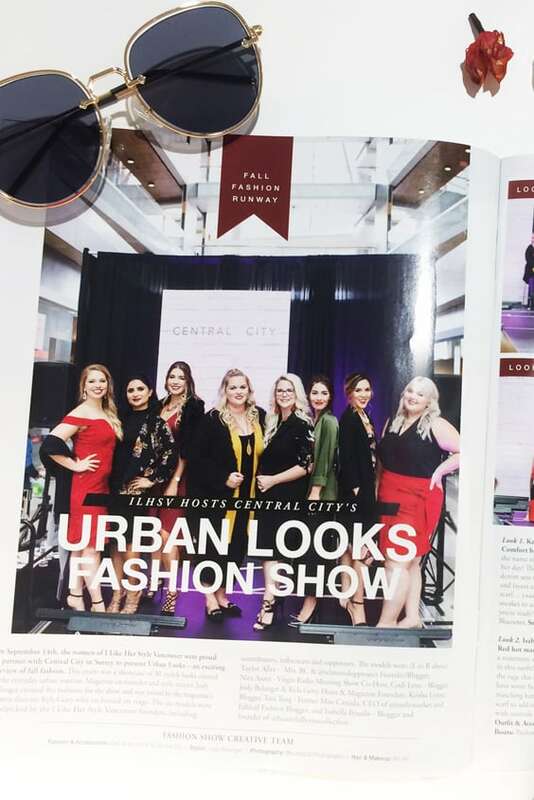 On September 14, Central City held its Urban Looks fall fashion and beauty preview event. 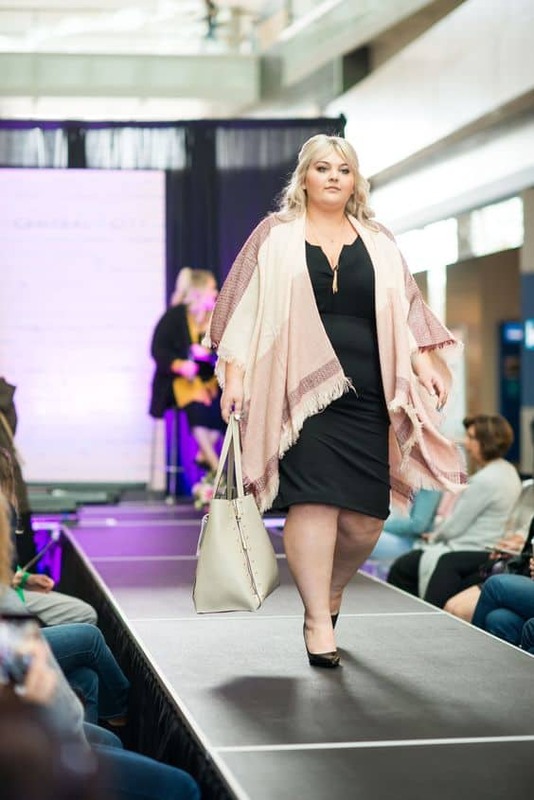 The highlight of the event was two 60-minute fashion shows hosted by I Like Her Style Vancouver (ILHSV). 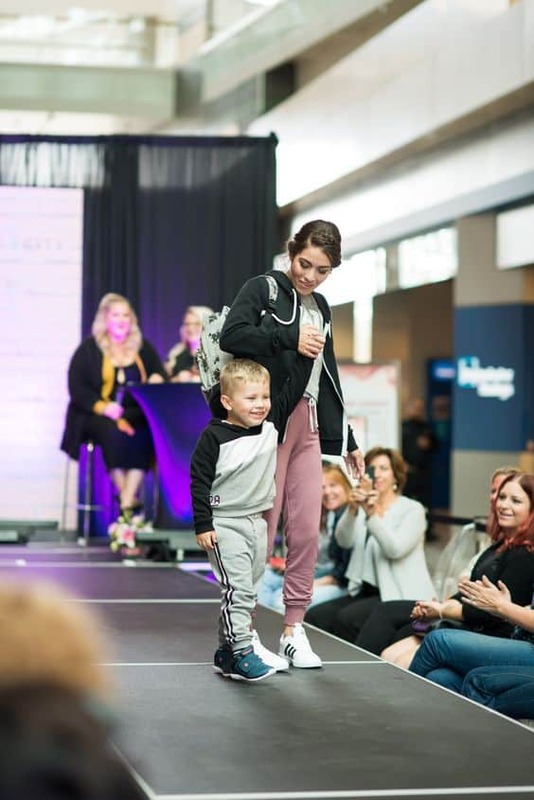 In addition to the “ooh’s” and “ahh’s” for the models on the catwalk, we had a lot to share with our event attendees and VIP guests, too. 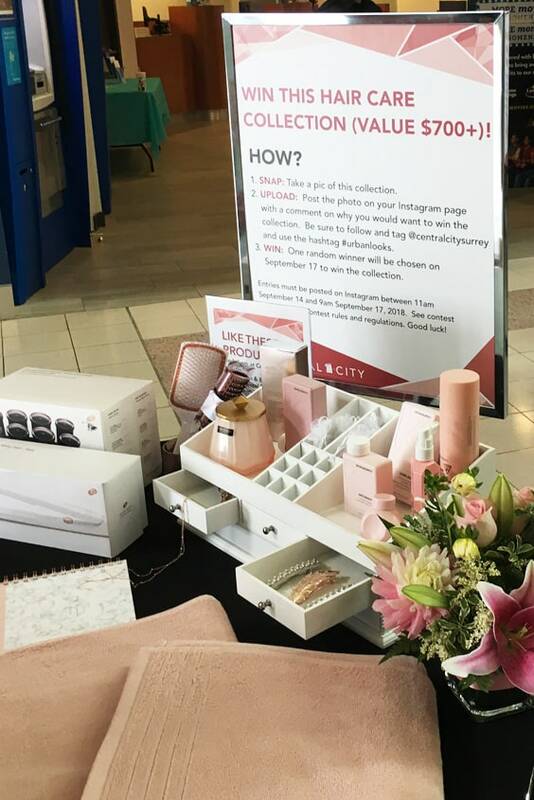 Goodies included style displays and activations from Shoppers Drug Mart, Pearle Vision, and Black Bond Books, coupons and savings giveaways, gift with purchase, and a contest to win a hair care package valued at over $700, and another contest to win $500 Central City Gift Gard respectively. Big congratulations to Camille V. of Surrey who was the lucky winner of the hair care package, and to Nicole J. of Richmond, who won the Gift Card. Check out some of these inspirational looks ranging from bold to casual, to chic, to flirty. You can find all these pieces at our stores at Central City! A flirty, yet, classy look. 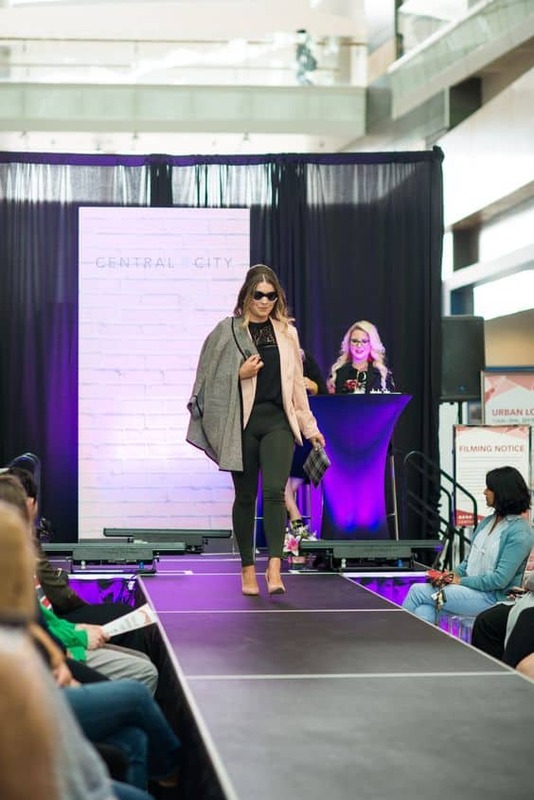 Try this floral print dress styled with a flowing pink scarf, black trench coat, and a simple black clutch from Le Château. 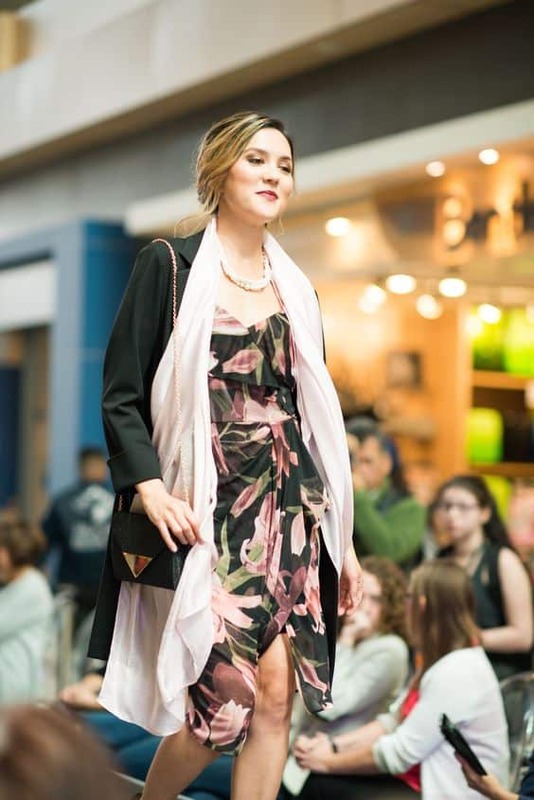 Accessorize with classic pearl jewellery from Shoppers Drug Mart. Find this casual outfit at Urban Planet and footwear from Shoe Warehouse. Plus, get your kids’ shopping done at Urban Kids and Payless ShoeSource. Need we say cute? 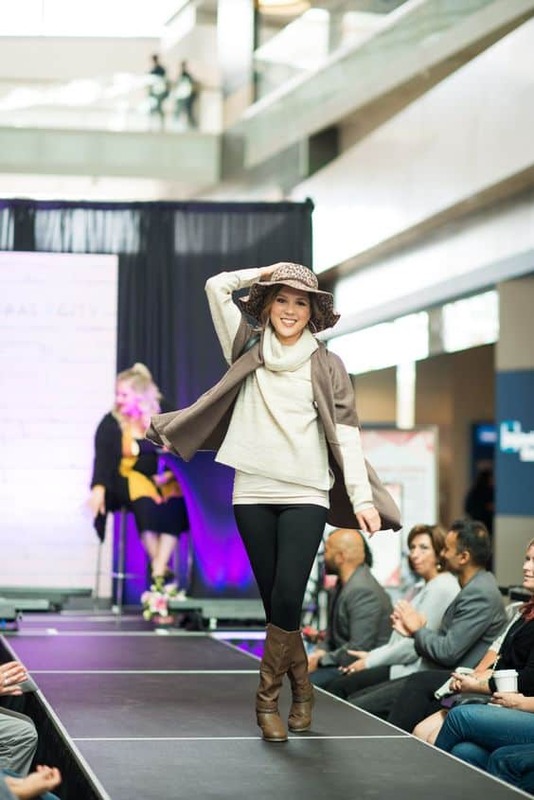 Stay chic and warm with this gorgeous neutral note outfit consisting of creams, browns, and blacks from Urban Planet. It’s topped off with a cute cheetah print hat from Winners and western-influenced boots from Shoe Warehouse. 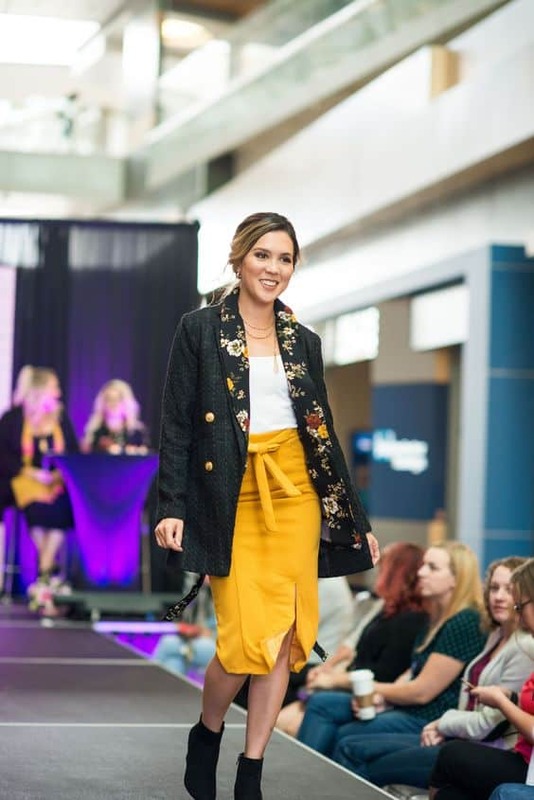 Mustard yellow is a timeless fall colour, and a warm peacoat overtop a blazer with subtle floral prints enhances the look! Find this outfit at Suzy Shier and the wedge ankle booties at Payless ShoeSource. 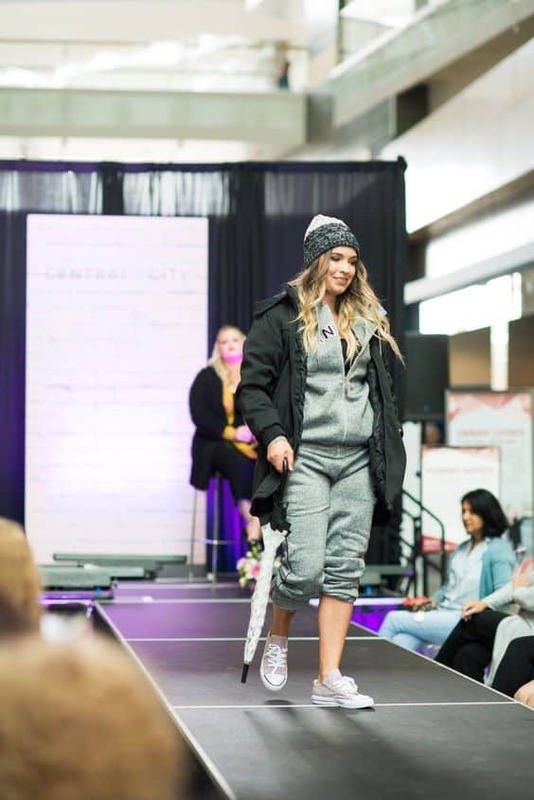 Cold gloomy days call for warm gray hoodies, sweatpants, and a puffy coat from Pizzazz Fashions. Add a beanie and an umbrella from Mad Hatter’s Superstore to stay dry (and stylish as a bonus). Find the sneakers at Payless ShoeSource. Don’t pack away all your summer essentials yet! Keep your sunglasses and light coloured clothes around and pair with darker items in your fall wardrobe. Check out this outfit at Suzy Shier. Find the pumps at Payless ShoeSource and the clutch at Le Château. Get creative with shapes and colours. 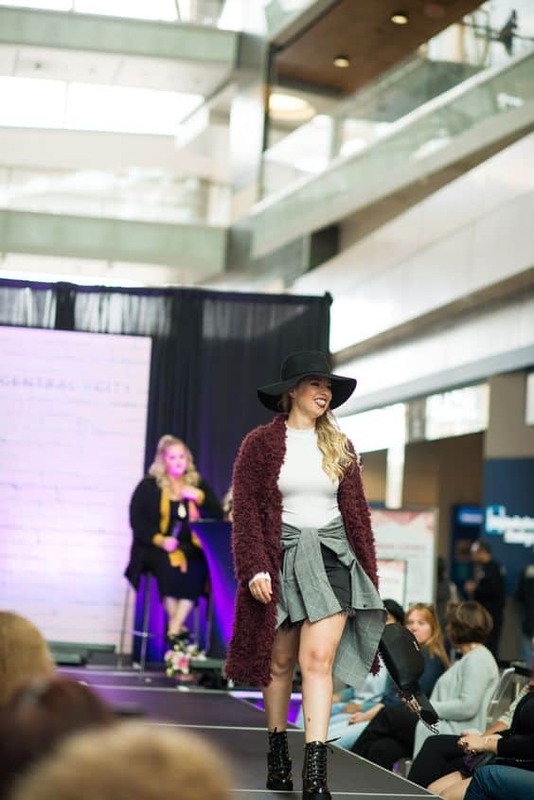 Add flair to a simple outfit with a black floppy hat from Winners paired with a Sherpa inspired burgundy cardigan, turtleneck bodysuit, denim skirt, and a patterned shirt from Sirens tied around the waist. On a colder day, keep your legs warm with a pair of black tights. 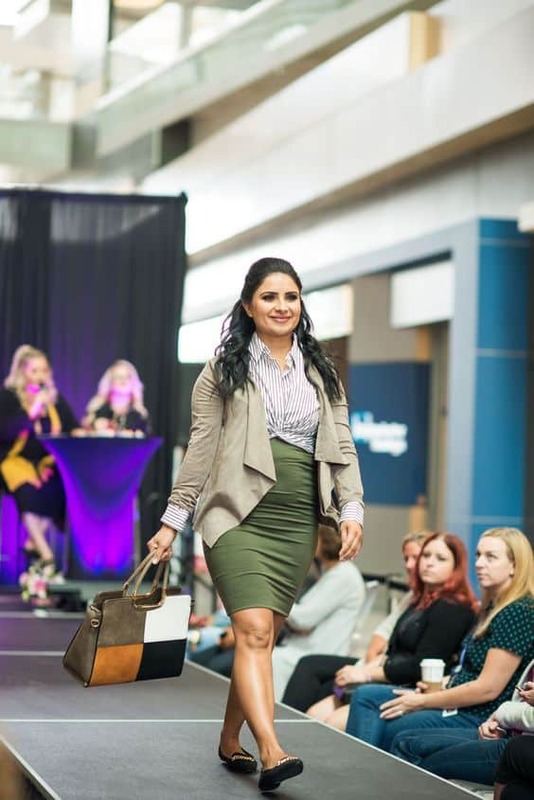 Try a contemporary office look with stripes and solids – and grab a cute quartet-coloured satchel bag from Mad Hatter’s Superstore to add emphasis on your outfit! Get the blazer, dress shirt, pencil skirt, and flats from Sirens. Accessorize with modern multi-metal jewellery from Shoppers Drug Mart. Alternatively, how about an outfit that says ‘office by day and outing by night’? Drape a gorgeous blazer with warm floral prints over a high neck midi dress from Winners. Complement the black with earrings and a ring from Shoppers Drug Mart, and strappy heels from Payless ShoeSource. In our everyday busy lives, don’t forget to schedule a date night or social outing (or both) to treat yourself! The little black dress and black pumps from Winners are staples. Pair them with a poncho shawl sweater and tote bag from Winners to add a stylish touch. 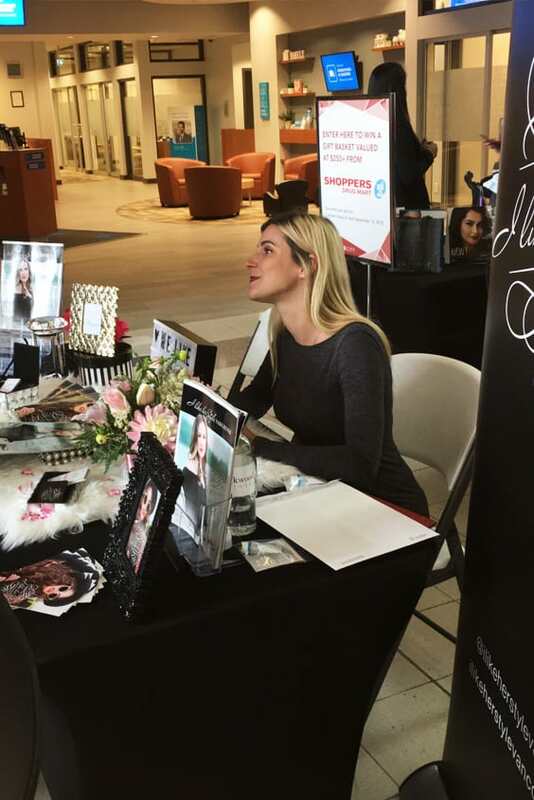 Find the jewelry at Shoppers Drug Mart. 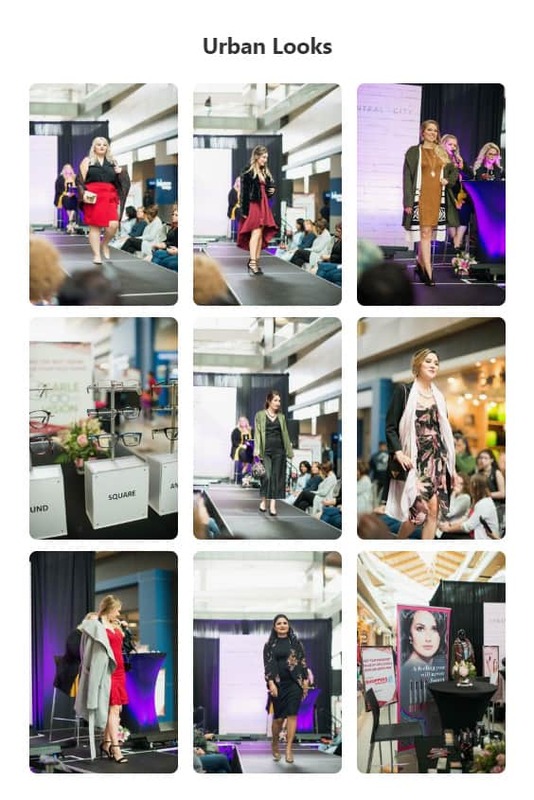 Check out our Pinterest board to see more photos from the Urban Looks event. 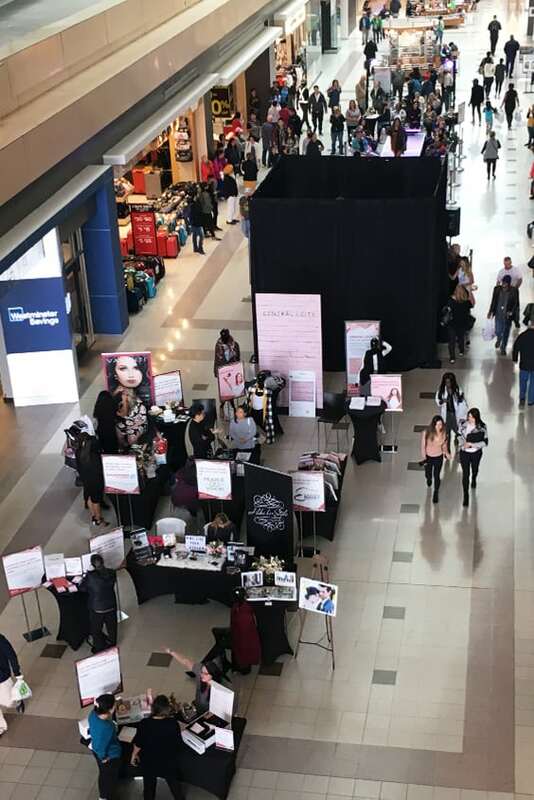 Right behind the fashion stage, we have participating retailers’ displays, contests, demos, and more! 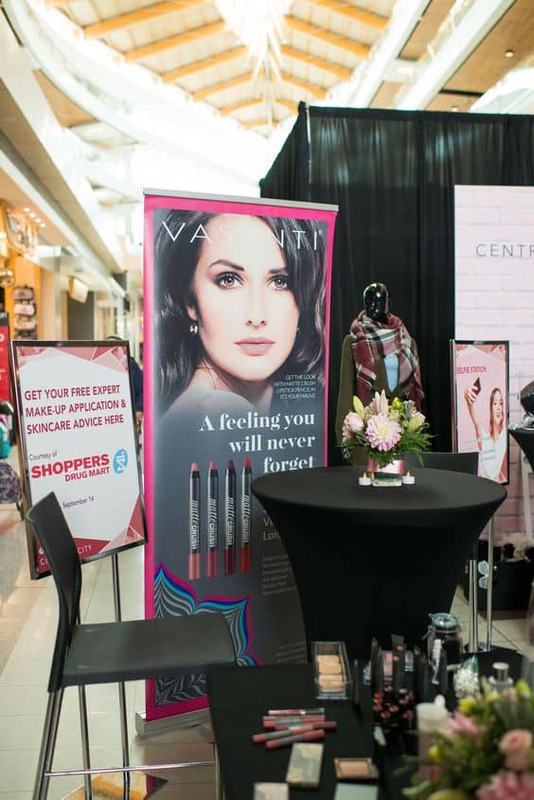 Shoppers Drug Mart offering free make-up application and skincare demonstrations for event attendees. 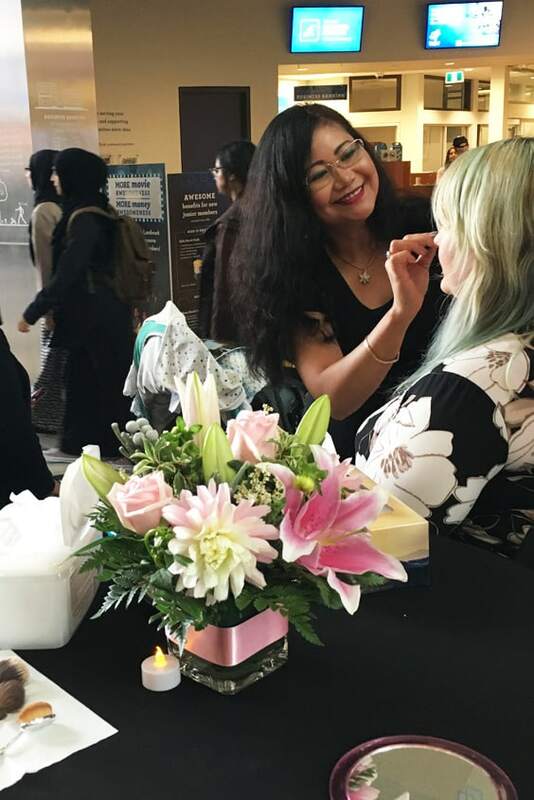 Makeup consulting and demonstration by Shoppers Drug Mart live in action. A contest to win a hair care collection valued at over $700. Congratulations to the lucky winner, Camille V. of Surrey! 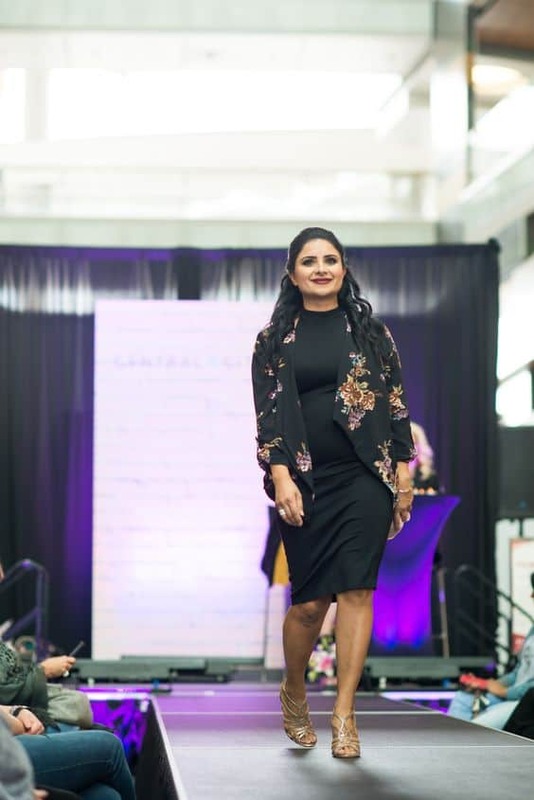 ILHSV sharing their passion for fashion! Speaking of which, have you seen ILHSV’s latest issue? If not, then check it out! If you missed our event, there are no worries as we have many more to come. Join our Central City Circle Club so you don’t miss out on the fun and perks!